The IBM WebSphere Commerce Integration module allows users to connect a WebSphere Commerce store to Magnolia. WebSphere Commerce is a popular, enterprise-grade e-commerce platform that offers many backend integrations, including payment gateways, warehouse management, call center management and more. You can use store content within a Magnolia website in a way that resembles working with native Magnolia content. In addition to exposing store content to Magnolia websites, the module provides access to shopping cart management, checkout and payment processing powered by WebSphere Commerce functionality. 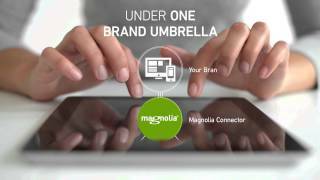 The IBM Websphere Commerce connector pulls IBM Commerce assets into Magnolia, where they can be combined with assets from other tools or providers through easy integration with best-of-breed applications in each digital business segment. This enables marketing teams to improve the online visitor experience, increase engagement and generate higher conversions. Businesses who use Magnolia in combination with WebSphere Commerce are able to react to market changes faster than the competition. They also typically increase their conversion rates due to more inspiring, personalized and engaging web content.